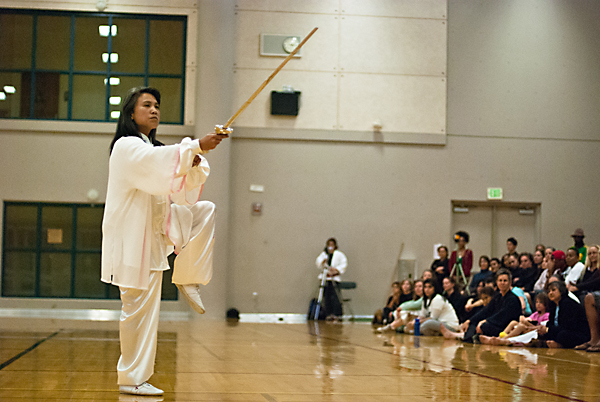 The genesis of Pacific Association of Women Martial Artists was in 1978, as Women Martial Artists (WMA). 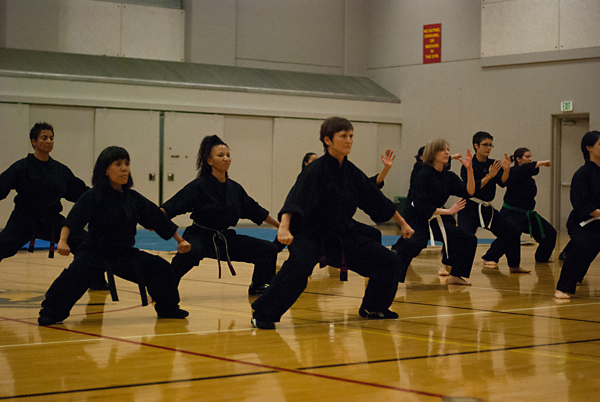 The very first West Coast Women Martial Artists Training Weekend (WCWMATW) was held and was organized primarily by Karate women from the Sacramento, California area. It was open to all women martial artists, regardless of system or style. 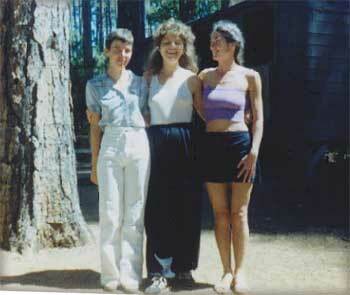 Sixty women attended the event, held at a Campfire Girls Camp in the Sierra Nevada foothills near Nevada City. They gathered together for a weekend of training, sharing skills, and offering mutual support in what was at that time considered an unusual pursuit for women. 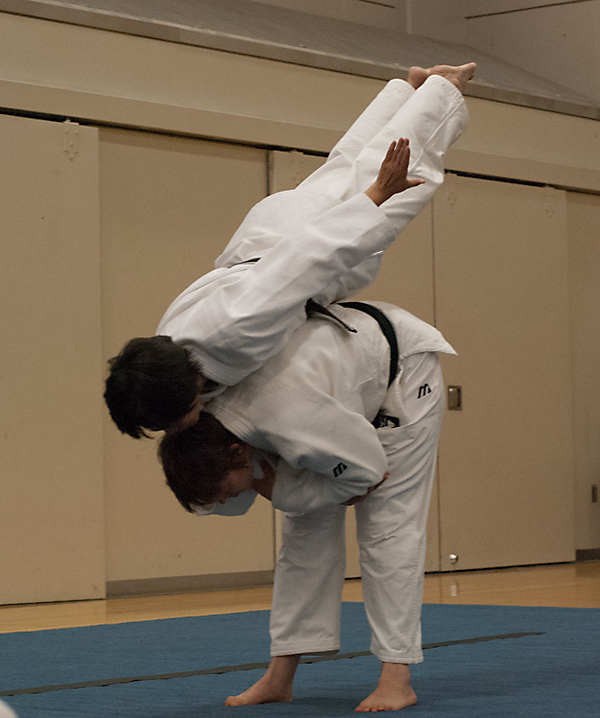 This was also one of the first times that women from such a wide range of arts, from hard-style karate to soft-style taiji came together, overcoming hostility and distrust between schools and arts. A few years later, the WMA board, comprised of Laurie Cahn, Terri Giamartino, Peggy Gordon, Koré Grate, Valerie Ramirez, Robin Rosario, and Joann Strang, adopted the name Pacific Association of Women Martial Artists. In 1985 WMA was formally incorporated as a California non-profit public benefit corporation, dedicated to promoting women and girls' participation in the martial arts by providing public education, role models, recognition of excellence, and opportunities to train and share ideas with an extended network of outstanding martial artists. Since then, women's participation in the martial arts has increased dramatically. The association has grown to more than two hundred members. PAWMA training camp is now an annual event that regularly draws over a hundred participants, including nationally and internationally known instructors, and representatives of the full spectrum of martial arts styles for three days of practice, sharing, and fun. Camp features the finest instructors and outstanding participants from up and down the west coast, across the U.S., Canada, and beyond. PAWMA's membership includes women of all ages and physical abilities, all races and ethnic backgrounds, all social and cultural points of view. We practice hard style, soft style, and eclectic arts, ancient and modern systems drawn from every corner of the world. We train in mixed schools, women-only schools, and schools with many different approaches. Our members' interests range from practical self defense, to spiritual development, fitness, and competitive sports. Membership is open to anyone--woman or man--who supports the full and active participation of women in the martial arts. 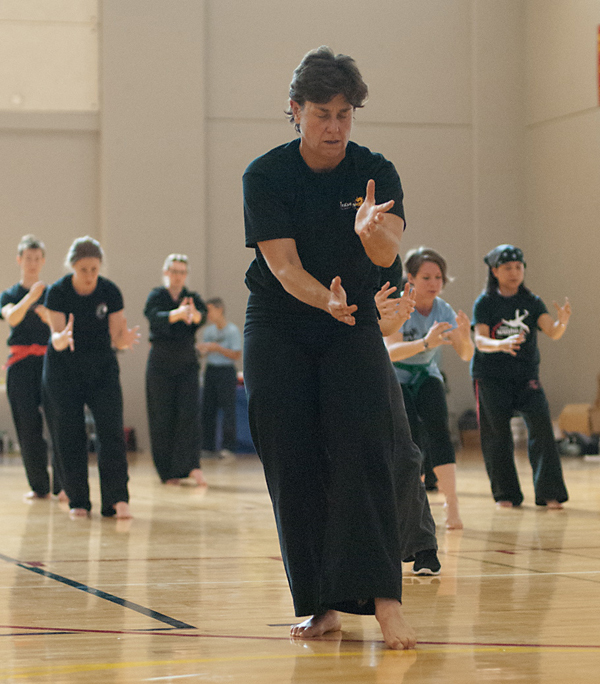 PAWMA members are united in the belief that martial arts training has special value for women, whether it is pursued for self-expression, self-protection, or physical health. We are committed to encouraging women and girls to train, and to promoting an atmosphere of respect and support for those who do--regardless of their chosen styles. We believe that every martial artist benefits from the full participation of women, and the arts as a whole are strengthened by the mutual respect and understanding fostered between students, schools, and styles. PAWMA recognizes role models by awarding Honorary Lifetime Memberships to outstanding women martial artists who were pioneers and leaders in their fields. PAWMA honors martial artists who demonstrate talent and leadership in their martial arts and who have been strong supporters and contributors to PAWMA by awarding the Martial Artist of the Year. PAWMA is a non-profit organization. Donations are tax-deductible. Dues and camp fees are not generally tax-deductible because in exchange you receive PAWMA’s eNewsletter and a reduced price for PAWMA Camp. If you are a professional martial arts instructor, talk to your tax accountant to see if dues or fees are deductible.